On its website, the RACQ urges members to properly maintain gas bottles. “RACQ Living” is the name of the Club’s website. An article dated April 13, 2017, in the caravaning section details how to properly maintain gas bottles. 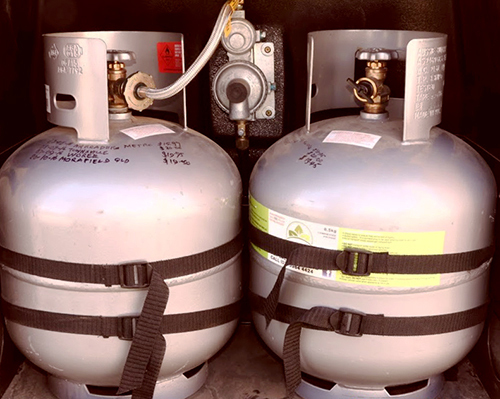 In this article, a staff writer strongly urges caravaners to regularly check their gas bottles. But such advice should apply to ALL users of portable gas bottles in our view. The author writes: “A faulty gas bottle you cannot use while camping is so frustrating”. Then follows tips on how to properly maintain portable gas bottles so they are always usable. “It doesn’t take long to check gas bottles for possible faults or potential problems”. “You can easily check for leaks by spraying or brushing a soapy water solution onto the external surface. If you see bubbles escaping from the bottle, there is a gas leak”. “Don’t hesitate … immediately return the bottle to a swap site and have it replaced”. “That’s the easiest way to replace a bottle – just take it to a gas bottle swap centre and get a new one”. “The swap services operate out of service stations, convenience stores, hardware and general stores”. “Finally, an online service called Gas Bottle Refills helps you locate the cheapest gas refillers near your location”. The article is a ‘must read‘ to remind us all of the need for diligence when it comes to the use of LPG in portable bottles.